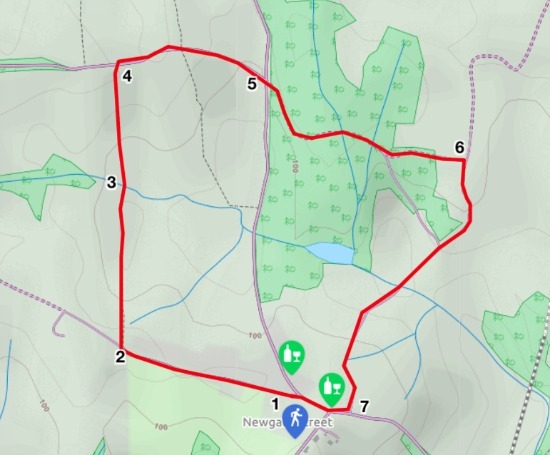 This is a circular walk around the west, north and east side of Newgate Street taking in lanes, footpaths and a bridleway through woodland rich in rhododendron. It begins gently down a quiet lane before heading across a valley with good views to the west towards Brookmans Park. There is a fair amount of up and down, but nothing too strenuous. 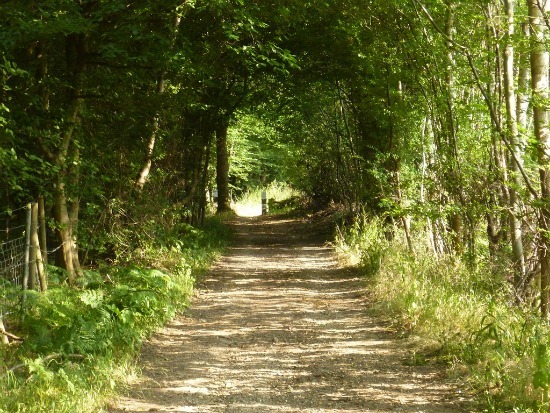 Much of the way is through deep woodland used for paint ball games and off-road driving. It ends with the choice of two pubs. There is a little lane walking involved. Park in the village of Newgate Street. A good place is down New Park Road where you start the walk. New Park Road is opposite St Mary's Church and runs to the left of The Gables Restaurant. Continue along New Park Road until you come to the end at the point where it becomes a bridleway and the houses end. On your right you will find a footpath heading north, accessed by a gap in the fence. This path heads due north down a hill. There is a golf course on your right and a field on your left. 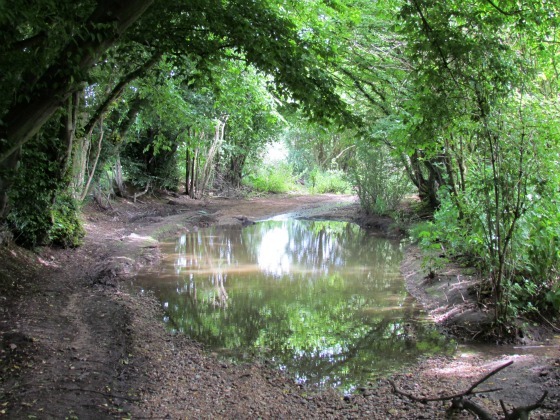 You come to a pond on your left, cross a small river and continue uphill towards the lane. The path emerges onto Tylers Causeway at a gap in the fence to the left of a metal gate. Turn right and walk east along Tylers Causeway until you reach the road junction. As with all lane walking, take extra care here and walk in single file facing the oncoming traffic (except on bends). At the 'T' junction, look opposite and you will see a bridleway going through an old white gate, with a cottage on your left. This gate and the following fences are marked private property, but a signpost just before the cottage clearly states the path is a public bridleway. Continue, heading south down this bridleway, through woodland rich in rhododendron, as it continues and winds its way, first left then right, through two giant redwood trees and up a hill. At the top you come to a gravel lane, which you meet at a 'T' junction. Turn right and continue along this lane, past the tennis courts on the right and out into open countryside. The path dips downhill and you will notice a small golf course on your right before the path climbs and eventually emerges in Newgate Street. Turn right and walk back into the village where there are two pubs, The Crown and The Coach & Horses.